On this blog, I’ll write on Missions and the Great Commission, our responsibility in the Great Commission command. I’ll also write about pursuing a passion for Jesus and the Spiritual Disciplines, both of which I think are crucial to really being able to be involved in Great Commission work. You have to have a strong walk and faith in Jesus to participate. Finally, since my ministry experience is largely in China, I’ll also write on God’s work there and my work with China Resource Center. Through the blog, podcast and other resources found on this website, this is my attempt to heed that call and to mobilize Christians for the Great Commission. I live in South Metro Denver, in Douglas County, Colorado with my lovely wife of eighteen years and our three great children. 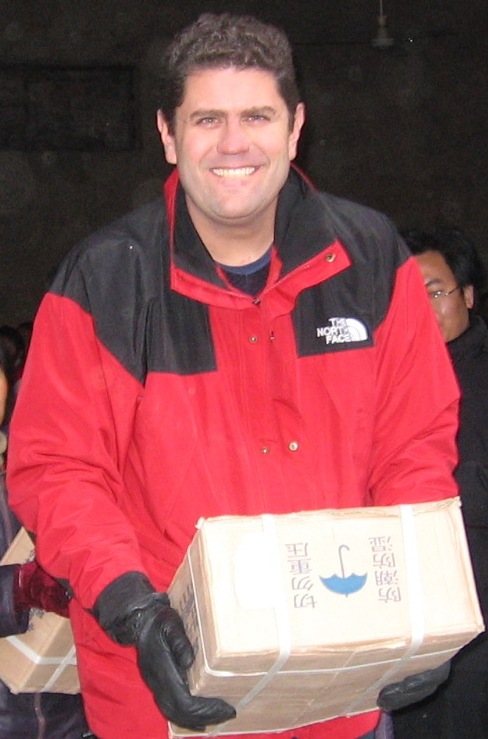 I’ve spent most of my adult life impacting Chinese and the country of China with the Gospel, with over 20 years’ experience ministering to Chinese, including time living in my ‘second hometown’ of Tianjin. I’m conversationally fluent in Mandarin Chinese and I’ve always been a Chinese history, culture and food aficionado, with a deep heart for the Chinese people. I believe my experiences in China bleed out as I teach and train on the Christians’ responsibility in the Great Commission. I have a Bachelor’s Degree in Asian/International Studies from the University of Alabama Birmingham and I’ve completed the Arrow Leadership Executive Stream Leadership Program. I started full-time ministry in 1994, and it’s been my privilege to serve Jesus in this capacity for so long! I certainly hope that as you peruse my website, you’ll find the resources provided are done with a deep heart to serve Jesus and His people. It’s my deep hope that many Christians would feel motivated to dive into God’s call to embrace the nations with His love!